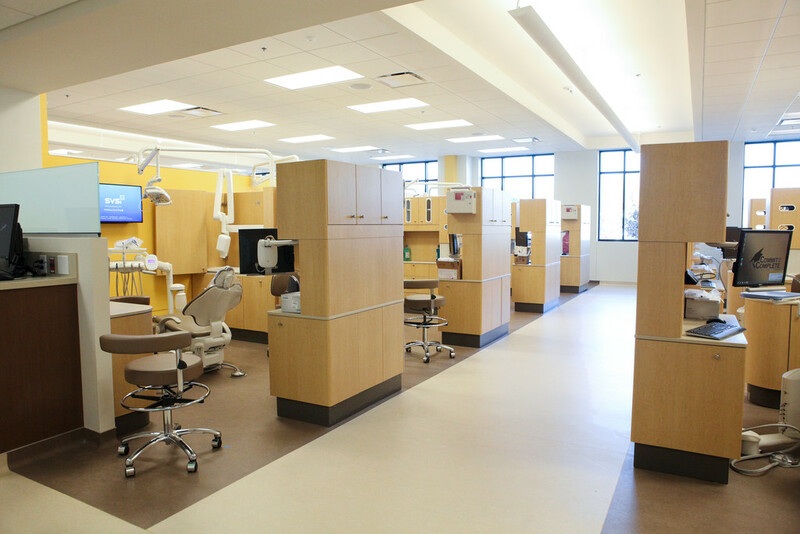 TJC offers its own dental clinic on the first floor of the new Robert M. Rogers Nursing and Health Sciences Building, where anyone can request to be placed on a patient reserve list for dental cleanings, oral examinations, X-rays, and pit and fissure sealants. Dental Services such as fillings and extractions are not included. Services are provided by dental hygiene students under the supervision of a general dentist and registered dental hygienists. Students are learning to perform thorough assessments and services. Therefore, multiple visits can be expected and time spent in the dental hygiene clinic may be longer than a typical visit to the dentist. Fees for the clinic are $20 per semester and cover all services performed during that semester. To place your name on a list of potential patients, call 903-510-2342. We will obtain some basic information from you and place you on our list of potential patients. This will allow our students to contact you. As course requirements allow, dental hygiene students will call patients from this list to schedule appointments. It is not guaranteed that all potential patients will be contacted and accommodated. As each semester draws close to completion, the students will be more limited to the number of new patients they can see. Note: if it has been longer than 3 years since you have had your teeth cleaned, you may be asked to make an initial screening appointment to determine the extent of your needs. Patient parking is located on the north side of the Robert M. Rogers Nursing and Health Sciences Building, facing the creek. Wednesday, Friday; 8 a.m. - 5 p.m.
Tuesday, Wednesday, Friday; 8 a.m. - 5 p.m.
Thursday; 1 p.m. - 5 p.m.